How long it takes to get divorced in Texas will depend on whether you and your spouse are both willing to consent to the divorce, agree on all the issues relating to property, finances and the children of the relationship, and you are both committed to a straightforward, fast divorce. It's natural to want the divorce process to be over as quickly as possible in order to move on with your life. The shortest length of time that a divorce can be accomplished under Texas law is 60 consecutive days. This depends on certain criteria being fulfilled. To file for divorce in Texas, you or your spouse must have lived in the state for at least six months before the date of filing and in the county where the divorce petition is filed for at least 90 days. If your spouse, the respondent, does not currently live in Texas, your last residence as a married couple must have been in Texas, and the petition must be filed before the end of the two-year period immediately following the date on which you stopped living together. If you have lived in Texas for the past six months and your spouse lives in another state or country, your spouse is allowed to file for divorce in the county in which she lives. Texas allows both fault and no-fault divorce grounds. The no-fault ground is insupportability. This is the most common ground because it does not require the petitioner to prove any fault on the part of the respondent. Basically, insupportabilitq means incompatibility. Other states often call this ground irreconcilable differences. Texas law defines a marriage as insupportable "because of discord or conflict of personalities that destroys the legitimate ends of the marital relationship and prevents any reasonable expectation of reconciliation." To satisfy this ground, you must simply state that the marriage is insupportable. You do not have to provide any information or evidence relating to the nature of the conflict, any efforts that have been made to fix it or state which of the parties is at fault. This means that if you want a divorce, you will get one even if the other party does not want a divorce. However, the other party can slow down the process by arguing about issues relating to the divorce. A divorce may also be granted on the grounds of adultery; cruelty by one spouse towards the other; abandonment for at least one year; the commitment of a felony by one spouse, who has been imprisoned for at least one year in the Texas Department of Criminal Justice, a federal penitentiary or the penitentiary of another state and who has not been pardoned; living apart without cohabitation for at least three years; and the confinement of one spouse in a state mental hospital or private mental hospital in Texas or any other state for at least three years. Can you get a divorce without having to go to court? In an uncontested divorce, both spouses agree on all the terms of the divorce, including the division of property, child custody and visitation, and support payments. Obtaining an uncontested divorce in Texas is typically easier and faster than a contested divorce because a trial in front of a judge is not necessary. The procedure for filing an uncontested divorce is most straightforward where no minor children are involved. You must complete and file several forms to get divorced in Texas. If you don't have minor children younger than 18 or still in high school, and you and your spouse agree on all issues relating to your divorce, you can file an Original Petition for Divorce form. This tells the judge and your spouse that you want a divorce and states what you want the judge to order in the Final Decree of Divorce. You must also fill out a Civil Case Information Sheet. If you have minor children, you'll complete and file the same forms, only a slightly different version of the Original Petition for Divorce form, which lets you provide information about the children. Contact the clerk's office at your county court to find out the filing fee for your case. If you cannot afford to pay the filing fee, file a Statement of Inability to Afford Payment of Court Costs with your petition. To speed up the divorce process, the respondent can file a Waiver of Service form, which tells the court he does not want to be served with the divorce papers. Realistically, this is only an option if you and your spouse are on reasonably good terms and are both in agreement regarding the settlement terms for the divorce. To be valid, the waiver must be signed on a date after the divorce petition has already been filed and witnessed by a notary. If the respondent does not waive service of the divorce papers, you can serve him personally simply by handing him the papers. Informally telling your spouse that you have filed for divorce does not count as legal service of notice or satisfactory proof that your spouse has proper legal notice of the divorce proceedings. The respondent spouse then has 21 days from the date of service to file the Answer form. If the respondent does not file an answer within this time limit, the case is defaulted and the court can make a final judgment without the respondent's involvement. If your divorce is uncontested, the respondent must also sign a completed Final Decree of Divorce form. To save time, complete the Final Decree of Divorce form at the outset and send it to the respondent with the Waiver of Service or Answer form. You and the respondent may fill out the Final Decree of Divorce form together. This must be done before you go to court. To complete the divorce process, the judge signs the Final Decree of Divorce form to end your marriage and make orders about your children, property and debt. No matter how amicable or straightforward your divorce is, you must comply with certain statutory waiting periods. In almost all cases, there must be a period of at least 60 days between the day the petition was filed and the date of the court hearing to finalize the divorce. Day one is counted from the day after the petition was filed. If day 60 falls on a weekend or a holiday, include the next business day in your calculation. The 60-day waiting period can only be waived if your spouse has been convicted of or received deferred adjudication for a crime involving family violence against you or a member of your household, or you have an active protective order or an active magistrate's order for emergency protection against your spouse because of family violence during your marriage. It is always possible to have a waiting period of longer than 60 days, but these are the only two exceptions to the minimum 60-day waiting period. The most efficient way to dissolve a marriage in Texas is through a collaborative divorce process. This is possible if both parties and their attorneys agree in writing to use their best efforts to resolve the dissolution of their marriage on an agreed basis without judicial intervention. In this case, the court is 0nly required to approve the settlement agreement, make the legal pronouncements and sign the orders as required by law. If the collaborative law procedure fails to result in settlement of any dissolution disputes, the parties' attorneys must withdraw from the case and may not represent the parties in divorce court proceedings. The parties must then proceed to follow the standard divorce procedure. As well as being a fast way to get a divorce in Texas, a collaborative divorce process is also much more cost-effective than litigation in court. Like many other U.S. states, Texas allows for the possibility of spousal support, or alimony, commonly known as spousal maintenance after divorce. There are certain eligibility requirements for alimony in Texas. 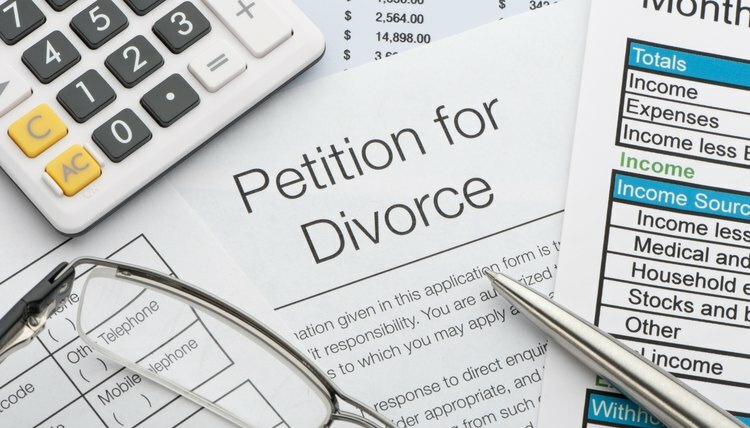 If the paying spouse has been convicted or received deferred adjudication for an act of family violence committed either during the marriage but no more than two years before the suit for divorce or during the pendency of the divorce itself, the petitioning spouse is eligible for alimony. Alternatively, the spouse seeking maintenance is also eligible for alimony if she is unable to earn sufficient income to support her reasonable needs and this is due to a physical or mental disability; their responsibility as the custodian of a child of the marriage who needs exceptional care due to a physical or mental disability; or the marriage has lasted 10 or more years. Only one of these conditions must be satisfied for the court to determine the amount and duration of spousal support. The court can award $5,000 per month or 20 percent of the paying spouse's average monthly gross income, whichever is the lower amount. If you and your spouse cannot agree on issues relating to spousal maintenance or any other issues, such as the division of property and the allocation of debts or child support or custody, prepare yourself for a longer divorce process. You don't need a divorce if you are eligible for an annulment. To file for an annulment, you must have either been married in Texas or you or your spouse currently lives in the state. The court may grant an annulment when one of the parties to the marriage is 16 or older but under 18, and entered into the marriage without parental consent or a court order. A petition for annulment for this reason may be filed by a friend, parent or a judicially designated managing conservator or guardian of the underage party. A petition for annulment can only be filed before the underage party turns 18. The judge can use her discretion when granting an annulment for this reason, considering all relevant facts relating to the welfare of the parties to the marriage, including whether the wife is pregnant. There are other grounds for annulment of marriage in Texas, including if the petitioner was under the influence of alcohol or narcotics at the time of the marriage and therefore, did not have the capacity to consent; if either party was permanently impotent at the time of the marriage, and the petitioner did not know of the impotency; and if one party used fraud, duress or force to induce the other to enter into the marriage. For these grounds to be valid, the petitioner must not have voluntarily lived with the other spouse after learning of the issue or after the petitioner is no longer under the influence of the issue. An annulment may not be granted after the death of either party to the marriage. Collaborative Divorce Texas: What Is Collaborative Divorce? Gillespie, Claire. "Fastest Way to Get Divorced in Texas." , https://legalbeagle.com/8450871-fastest-way-divorced-texas.html. 31 July 2018.